Hellboy comes to the crossroads in Enigma, Georgia, a small town plagued by strange occurrences. Sent to keep an eye on Sarah Nail, a young girl hiding from the curse of her family, Hellboy becomes entangled in the blood debt of evil mystical preacher, Brother Jester. 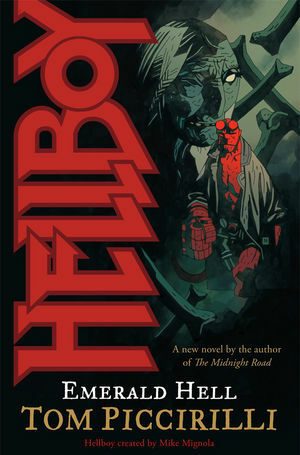 Stuck between human malice and the mysteries of the occult, Hellboy comes up against an intrigue of ghosts, demon trees, talking bullfrogs, and a race of lost mutant children. * The release of Emerald Hell is timed to take advantage of the excitement for the second Hellboy movie.